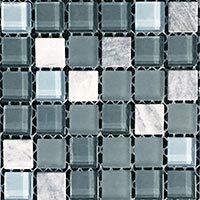 Comprising of glass and marble effect rectangular mosaics in distinctive black and charcoal shades, create a timeless appeal in your bathroom or kitchen with this contemporary option. 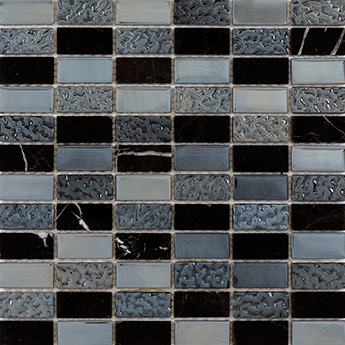 It is a great choice if you are planning on adding style to walls with a border design or splash-back. 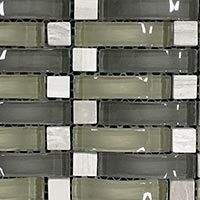 The reflective quality adds a unique look, with the sleek surface making them easy to clean and maintain. 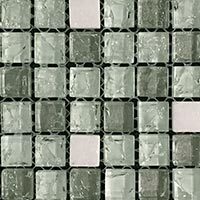 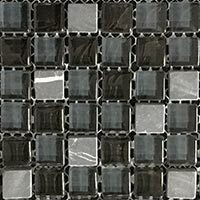 Available in flexible mesh sheets, these Black Glass and Marble Mosaics are perfect for curved surfaces like rounded bathtubs. 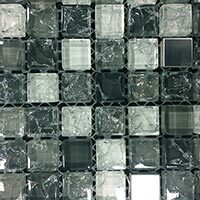 Not only are they acquired by homeowners but they are also popular for providing a decorative element to shop and hotel interiors.